The XKR-S Convertible is the most powerful and fastest open-topped GT Jaguar has ever built. 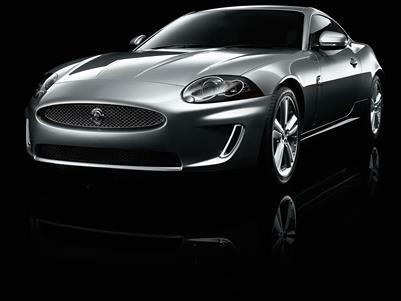 Jaguar Australia is excited to announce the new limited edition XK Coupe 75th Anniversary Edition. Like the XK, the new XKR competes within the Large Premium Sport (LPS) sector. In 1999 this sector accounted for just under 50,000 sales per year worldwide. Since that time it has doubled in size. Jaguar is proud to reveal its new supercharged sports car - the Jaguar XKR. Building on the excellence of the all-new XK that debuted in 2005, the XKR takes the Jaguar sports car experience to new heights. Jaguar's new XKR Coupé is being revealed, in the 'flesh', for the first time at the Autosport International Show today. The new Jaguar XK Coupe has been voted overall 'Car of the Year' and 'Sporting Car of the Year' at the Scottish Car of the Year Awards 2006. Jaguar's XK Coupe has been named 'Car of the Year' and 'Luxury Car of the Year' at the UK TV People Awards 2006. Over 10,000 UK TV viewers voted from a choice of 16 vehicles and chose the new XK as their favourite car overall. Richard Lloyd's Apex Motorsport announces today that it will develop Jaguar's new XKR Coupe for use in the FIA GT3 Euro Series from 2007. Jaguar's beautiful and desirable new XK sports car has claimed the prestigious 'Car of the Year' award at the 2006 Auto Express New Car Honours. The award was announced last night in the UK. Jaguar's exciting new XK sports car is a winner with readers of WhatCar? and Eve magazines. Jaguar XK Coupe 75th Anniversary Edition.